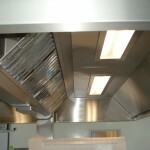 Make your kitchen a refreshing and hygienic place to work. 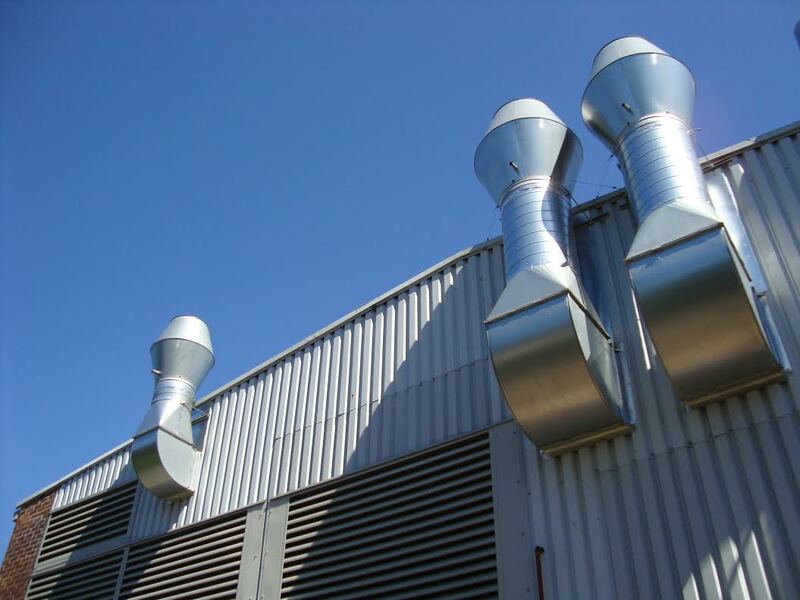 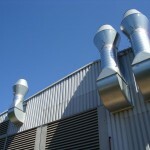 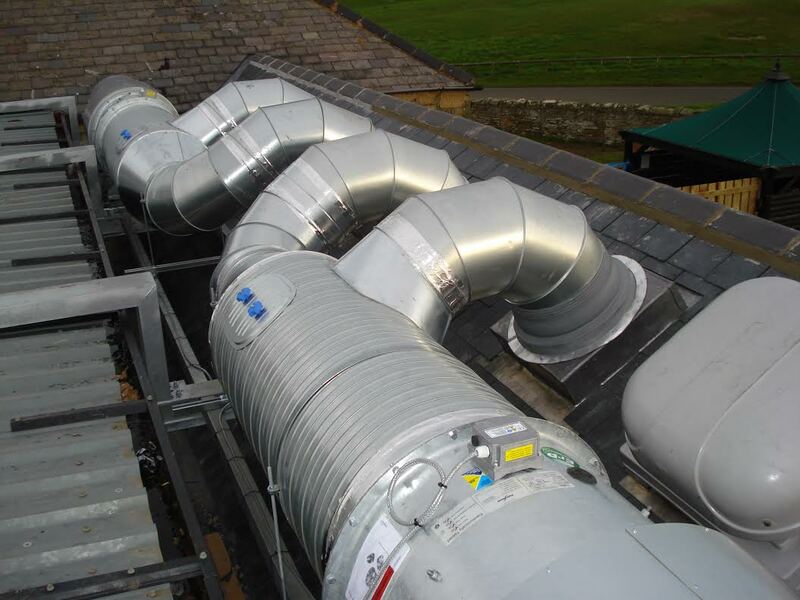 We make our systems exclusively from branded stainless steel and plastisol colour coated ductwork. 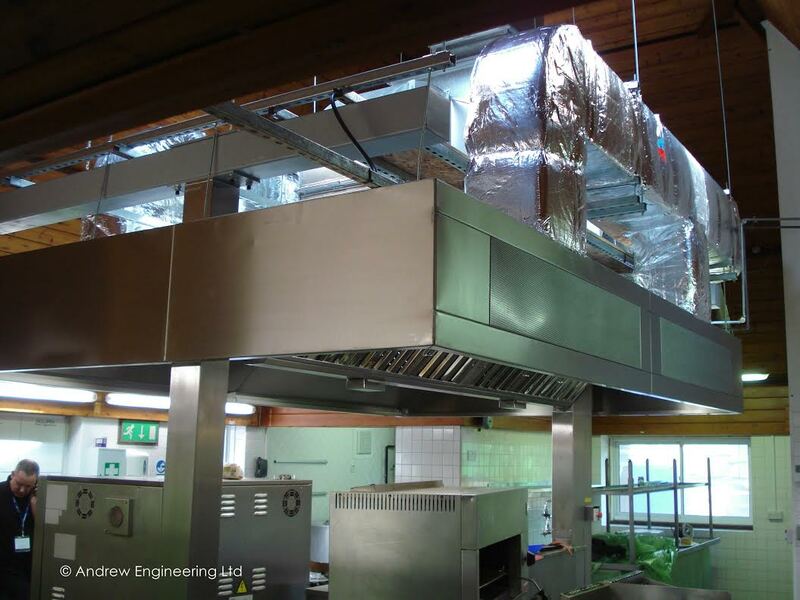 Provide Andrew Engineering with a commission for your next kitchen canopy project and enjoy the peace of mind of site survey, kitchen layout, plant design, manufacture and handover in professional engineering hands. 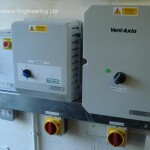 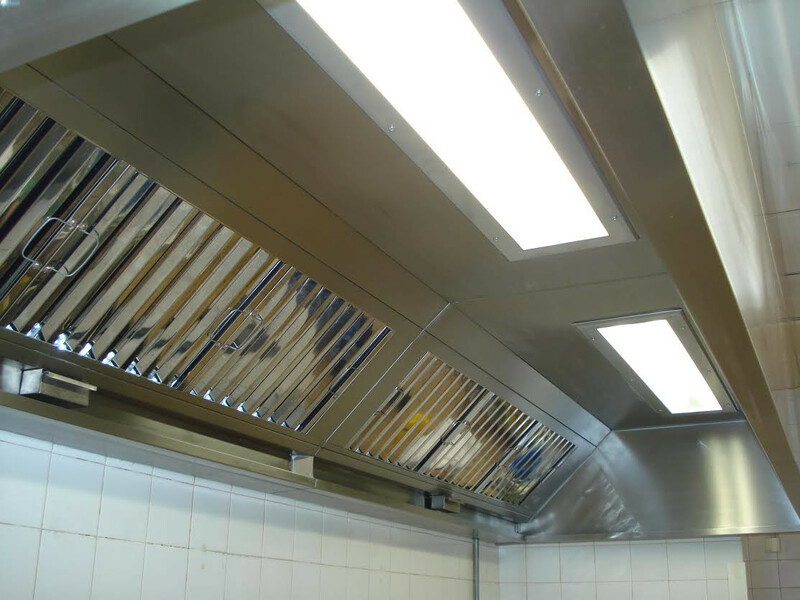 An Andrew Engineering combi canopy can include low energy lighting, variable rate fresh air and extract, inverter controls, and energy efficient heating to cater for the kitchen environment. 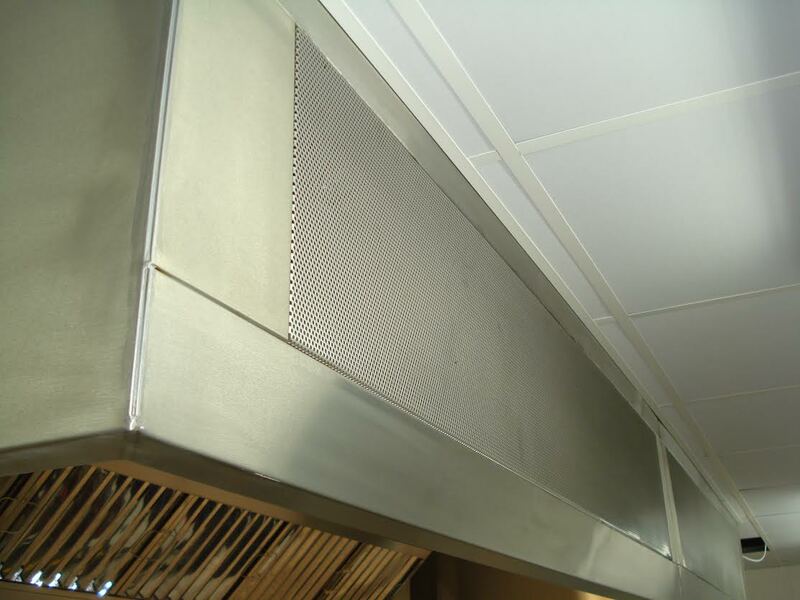 All Andrew Engineering systems are fully compliant with DW/172 the industry standard for kitchen ventilation systems and the DEFRA guidance. 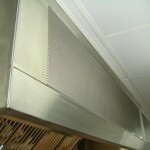 Combi Canopy for efficient extract and integral fresh air ventilation over cental island or sidewall arrangements. 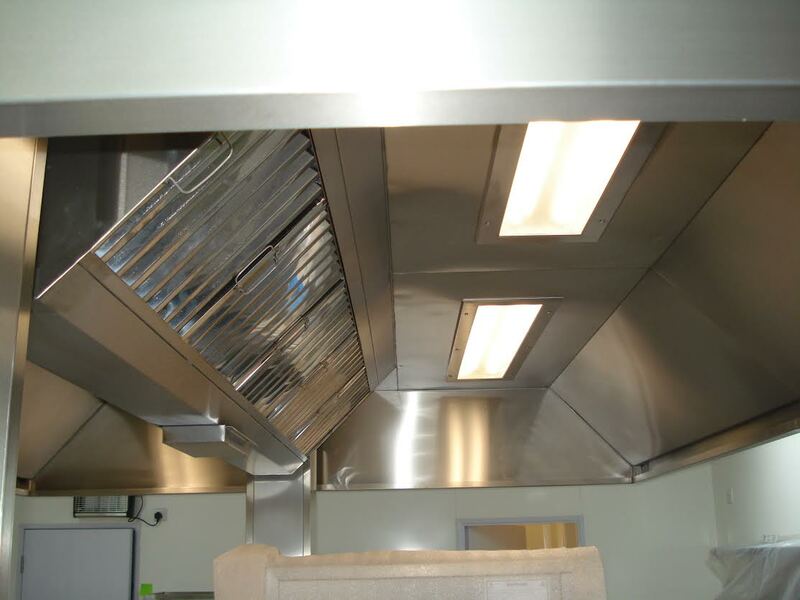 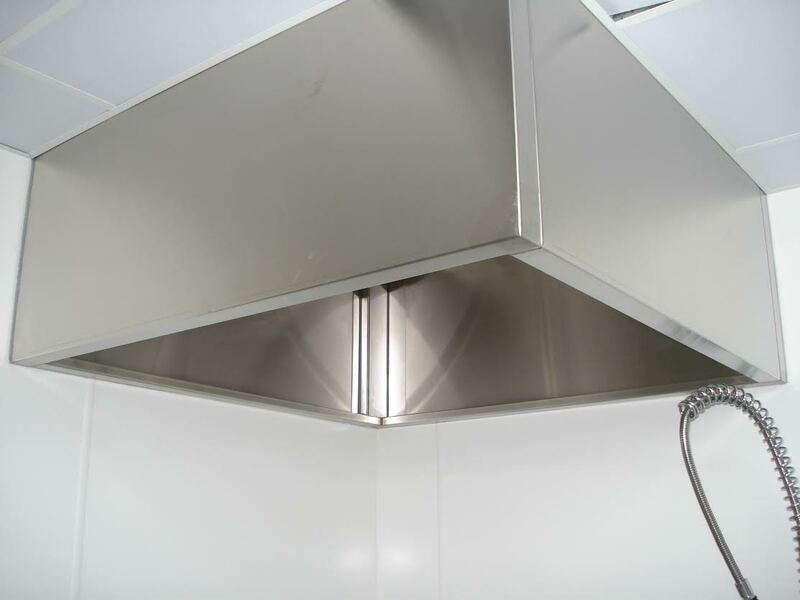 The kitchen canopy provides a hygienic, attractive stainless approach to achieving a fresh kitchen environment. 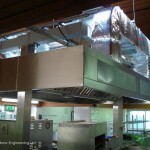 A modular design for high rate extract with baffle-type grease filters, integral fresh air with energy conscious variable fan systems and low energy low temperature lighting. Extract only kitchen canopies with “baffle” type grease filters, or condensate extract. 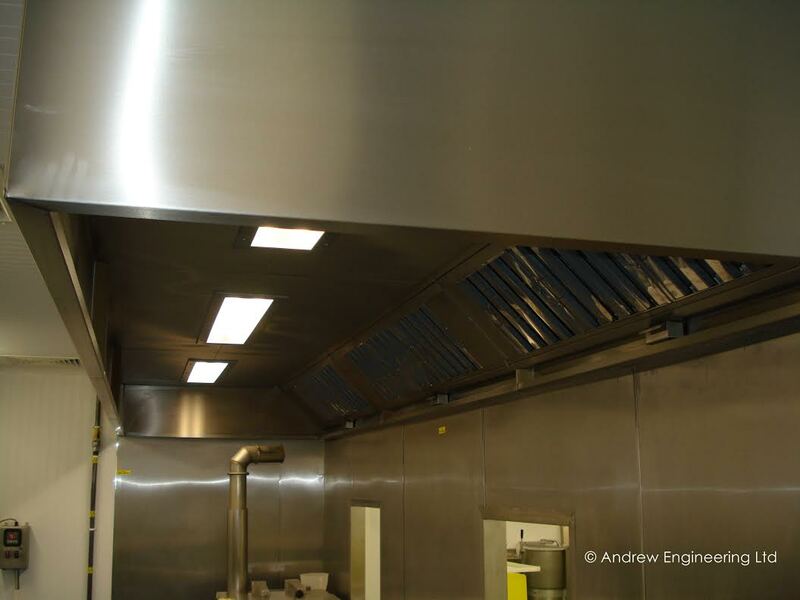 With an Andrew Engineering kitchen canopy as the first link in the design chain, enjoy the benefit of Andrew Engineering imaginatively designed internal, external plant, ductwork construction in matching colour coated plastisol sheet. 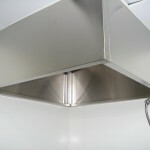 All systems include access doors for maintenance cleaning. 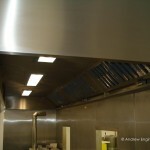 Andrew Engineering can design, build and install any kitchen canopy, to any size to meet your requirements; combined with a complete installation of a kitchen ventilation system. 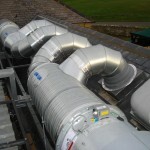 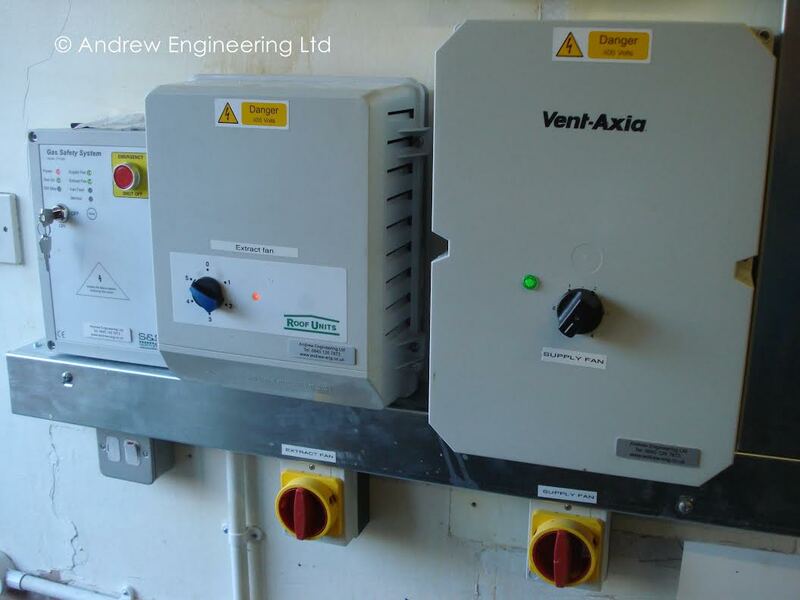 Ventilation Gas Interlock systems to comply with BS6173 can be provided as part of the complete ventilation package.